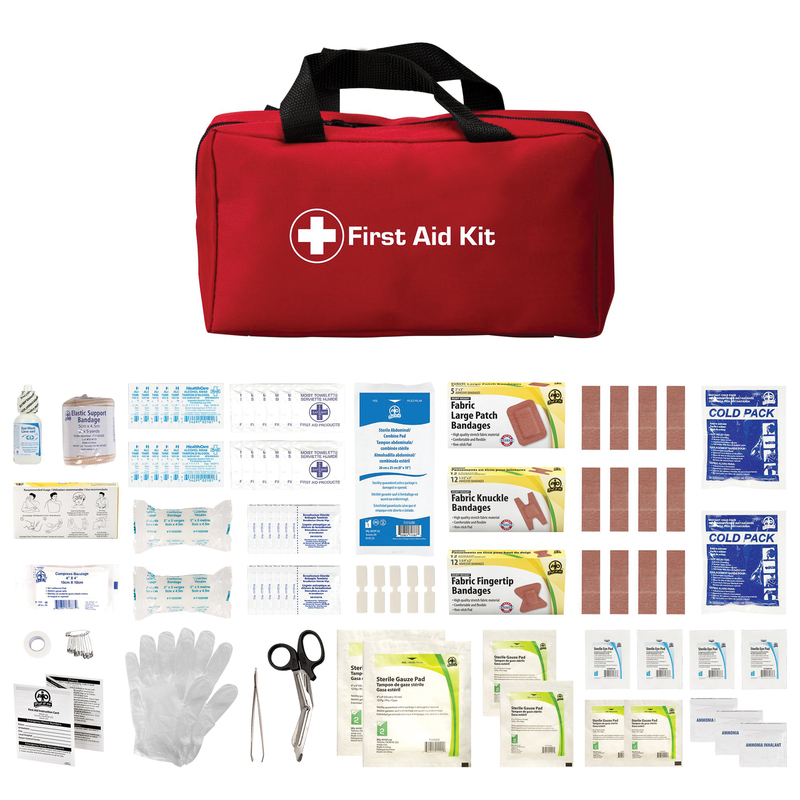 As careful as we may be as families across Canada head out on the RV Roads to adventure, it is inevitable that someone in the family will need some on-site first aid – are you ready to handle the basic cuts, scrapes, and insect bites? We have our RV start-up checklist and everything appears to be in its place… but wait! Where’s the first aid kit? You have one in your car and one in your home, and even hikers carry a first aid kit – so why not keep one in your trailer. Even though we don’t want to be reminded, injuries happen, and you should always be prepared. 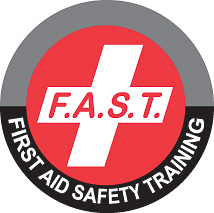 First things first – have you or any member travelling with you taken a first aid course? A few hours of your time could make all the difference when dealing with injuries. Minor cuts and scrapes. First, take care of the wound. Wash with running water for at least 5 minutes, then dry with a sterile gauze square (lightly pat the wound area dry, do not rub), then apply a mild first aid cream and dress the wound. If you suspect the wound will need medical attention, do not wash the wound, but place a thick sterile dressing over the wound to control the bleed and seek medical attention. Insect stings and bites. Do you know the difference between bee and wasp sting? The bee will leave the stinger in – it only stings once, while a wasp can give repeated stings. In both cases, the treatment is similar, except for scraping out the bee’s stinger (using something firm such as a card), you should wash the area and apply a first aid cream for stings such as Afterbite. Follow up with a covered ice pack placed over the bite/ sting area to reduce pain and swelling. Always watch the person for signs of allergic reaction. Burns. Like other injuries, burns are very preventable but unfortunately, they do happen. Sunburn is a common example. We all know that the children will be outdoors all day, with exception of rainy days, and sometimes not even then. Did you bring the sunblock? It is important to remember to apply sunblock at least 15 minutes before you go out, and re-apply at regular times throughout the day. Wearing a hat with a brim will protect the face as well as the back of the neck from sunburn. In the event of sunburn, it is comforting to know that your first aid kit will have a soothing burn cream to ease the pain. A first aid kit is a must when travelling. You hope you never have to open it but it’s like a security blanket, it’s there when and if you need it. A first aid kit is inexpensive and contains all the necessities to deal with injuries. If someone in the family has a medical condition, your first aid kit requirements may be more elaborate than what you find in the typical kit. In some cases, you may want to take along special medical gear – this could be as simple as an Epi-pen, or as sophisticated as a portable defibrillator. When purchasing a first aid kit think about space. 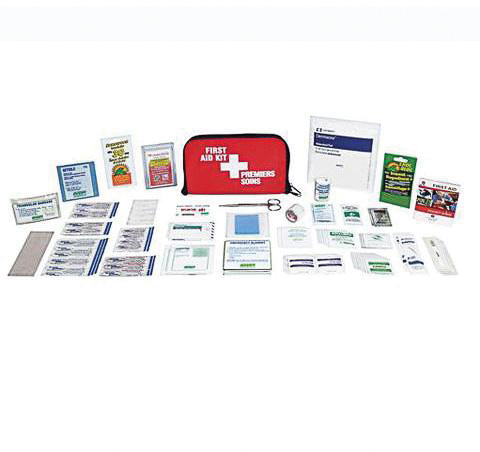 As you are aware, space is limited in an RV but not to worry – first aid kits come in a variety of shapes and sizes. Nylon or plastic cases are two common types of containers for first aid equipment, so finding one to suit your needs will not be a problem. Storing the first aid kit in your RV is a very important consideration. Look for an area with fast and easy access, and keep that space designated specifically for the kit. Make sure that everyone in the family knows where the first aid kit is located, and how to use the contents. We keep our first aid kit in the cupboard near the kitchen door. Previous article A Brake Controller for the Modern Age.